It is cheaper than the genuine product, and there is no problem with product accuracy that is common to third parties. This review is about item#52956548. At the time of maintenance of the Gyro X, I replaced it. Recently, I am replacing it because it is a dirty thing that is hard to see with eyes. This review is about item#35762377. Since the air cleaner of XR250 was the life, if I checked the price of a genuine part to replace it, it was very expensive. When I checked if there was something cheaper, there was an NTB thing. The air cleaner I received was made equal to genuine. It may be because the genuine was dirty, but after replacement, the engine blows better. I will buy it again next time. This review is about item#37648581. We use with GB400TT SE and GB500TT. We are satisfied because we can use without change with genuine product. As it is cheaper than pure article, we want to use at the time of the next exchange. This review is about item#32692685. 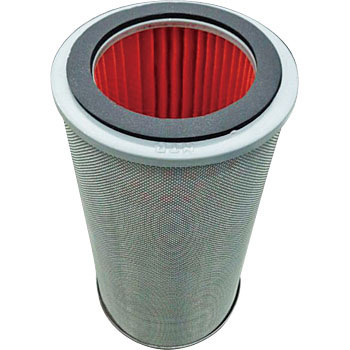 For genuine products, those who say it is expensive and chot, this external goods I think that the filter is good. Even in the maintenance industry, I am using it normally! This review is about item#32692791. It is quite excellent. I am satisfied with both power up and fuel economy. This review is about item#32693193. Although it does not have a disorder in particular, it exchanged air filter and spark plug as maintenance as early as exceeding 10,000 km running. I think that it is good for an early exchange before it goes bad at an affordable price. This review is about item#32693227. Genuine products and quality do not change. I will repeat the price cheaply. This review is about item#35655086. It is genuine equivalent and very good, I am satisfied with low price. This review is about item#32693211. It was good that things of near performance could be obtained cheaply. This review is about item#32692563. It can be used without problems as usual with other company's products. This review is about item#41246265. Genuine products are a bit expensive so purchase here. I can install without problems, I think that the front was not dirty, but I feel that dandruff has improved. It is very profitable as it is even 10% off from this price. Since the goods are also exclusive goods, it installed without problems. I will exchange it regularly at this price. Because it was said that it is better to change it soon at the time of inspection at a motorbike shop, in order to raise the inspection cost cheaply, I exchanged myself. Replacement is simple because it just removes the cover and replaces it. I think that it is no problem especially with outside goods. This review is about item#5613012. It fits perfectly in the cleaner box. Because it is cheap, it is better to replace than to clean it. This review is about item#32692877. Used for Super Cub 110 en 07. Although I did not know how to use it, I bought a second-hand motorcycle, but purchase without hesitation if it is a monotaro price. I am satisfied that I can change easily by myself. Purchased for a glass tracker. It can be used normally as a genuine product without any change. This review is about item#32693202. I changed the air filter for the first time after running 16000 kilometers. It was dirty than I imagined. Can be used without problems. This review is about item#32692764. I bought it with an air cleaner [part number 17214 - MY 6 - 670] of Honda genuine parts that has mutuality, but it was completely different thing. The price was too different, I thought it was strange, but I bought it because it was cheap, but I do not mind it. This review is about item#35762352.